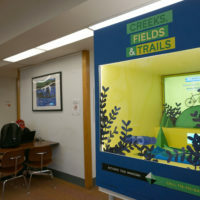 Madeleine Levin is serving as Freshkills Park’s Public Art Program Intern. She grew up in Portland, Oregon, which is home to the World’s Smallest Park, and she is currently a senior at Columbia University majoring in Urban Studies. 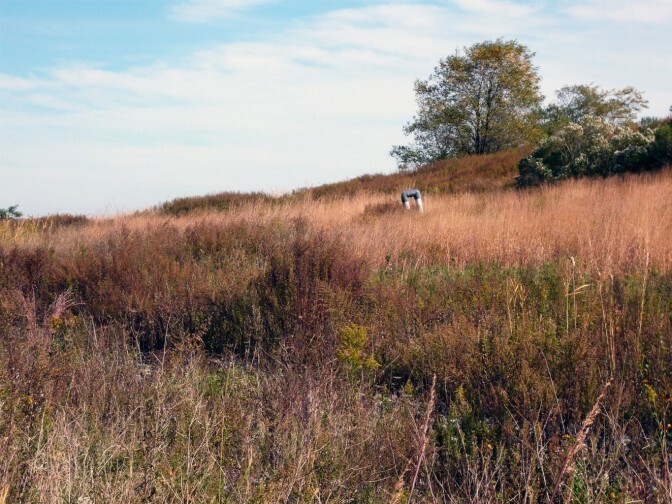 Through a juried process, Slanted Studios & MTN GODS have been selected to develop a public installation that will engage New Yorkers with the evolving Freshkills Park project. Their modular exhibit will tell the story of the park through its history, ecology, design, technology and possibility. Shortly after Winter Storm Jonas, artist Kirk Finkel recorded this time lapse video of his installation at the Staten Island Ferry Terminal in St. George. 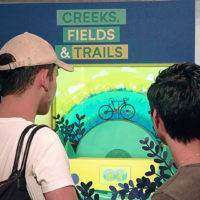 This interactive sculpture, called NEST, is designed to bring Freshkills Park wildlife to people in New York City and encourage visitors to see the park firsthand. 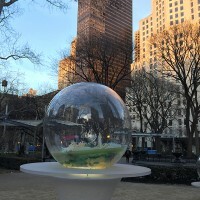 If you haven’t yet visited Paula Hayes’ Gazing Globes at Madison Square Park, I highly recommend a trip to 25th street around dusk before the exhibition closes on April 19th. 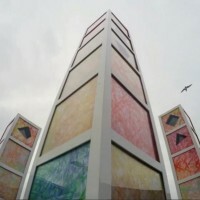 Hayes’ first public art exhibition in NYC comes alive as the sun starts to set over the city. 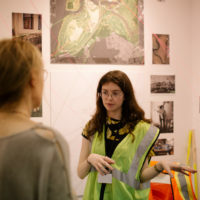 The Freshkills team is always on the lookout for engaging initiatives that combine education, sustainability, and art – not to mention recycling. 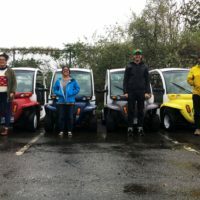 Recology, a waste management company based in San Francisco, supports a young artists program that combines all these topics in one exemplary project.